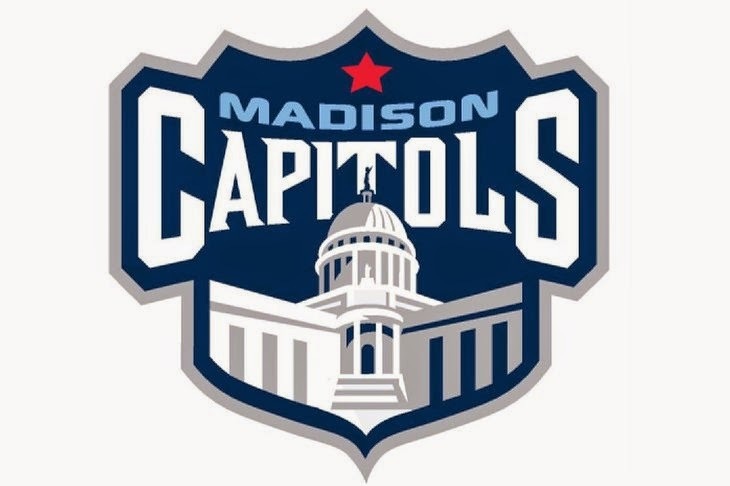 The Lincoln Stars will look to snap their three-game losing streak Wednesday night when they go on the road to face the expansion Madison Capitols. Be advised that the puck drops at 8:05pm CST for this particular game. This game will be played at LaBahn Arena, on the campus of the University of Wisconsin-Madison. LaBahn Arena is the home ice of the Wisconsin Badgers women's ice hockey team. Click here to see a picture of the inside of LaBahn Arena. Normally, the Capitols play their home games at Alliant Energy Center in Madison. The Stars are 11-15-5 (27 points) and are in seventh place in the USHL western conference, four points ahead of the eighth place Waterloo Blackhawks and ten points behind the sixth place Fargo Force. Lincoln does have three games in hand over Fargo, and two games in hand over Waterloo. This will be the second and final meeting between these two teams in the 2014-15 regular season. In their only other meeting, the Stars beat the Capitols by the score of 3-2 at the IceBox on Saturday, January 3rd, 2015. Cam Hackett stopped 29 of 31 shots he faced, and Patrick Polino scored the game-winning goal in that Lincoln win against Madison on 1/3/15. Madison comes into this mid-week matchup with a record of 17-10-5 (39 points) and are tied for fourth place in the USHL eastern conference standings with the Younstown Phantoms. The Capitols are 8-5-1 at home this season, but they have never played at LaBahn Arena, so this will be a new environment for them as well. Since losing to Lincoln on 1/3/15, the Capitols are 3-0-1 in their last four games played. Madison is currently riding a three-game winning streak coming into their contest with the Stars on Wednesday evening. Recently acquired Stars forward Ethan Price has been suspended one game by the USHL due to the head-butting major and game misconduct he picked up this past Saturday night in Lincoln 5-4 OT shootout loss to the Fargo Force. Price will miss the game against Madison, but he will be available to play this weekend when Lincoln continues their road swing with a Friday night tilt against the Stampede in Sioux Falls, and a Saturday night matchup in Omaha against the Lancers. It's put up or shut up time for the Lincoln Stars. If this team is serious about contending for a playoff spot in the USHL western conference, it all starts with a 60 minutes effort against Madison. Earning two points on the road against a good Capitols club would certainly be a step in the right direction.